JAG Plumbing Packs: six (6) 1 inch slip compact white PVC Molded-in-Place ball valves. Large port allows maximum flow and minimum pressure drop or turbulence. This ball valve is made up of a white PVC body, that is suitable for both schedule 40 and schedule 80 pipe, with a black ABS handle. JAG Plumbing Canada is pleased to distribute the high quality Ball Valves by Boshart Industries to on line customers across North America. SPRING LOADED PRECISION MOULDED PVC ECONOMICAL CHECK VALVE.TAPERED SEAT VALVE AND ABRASION RESISTANT O-RING FOR POSITIVE SEALING. STAINLESS STEEL SPRING, NOISE FREE AND CHATTER PROOF ACTION. 1 1/4 Inch FNPT. 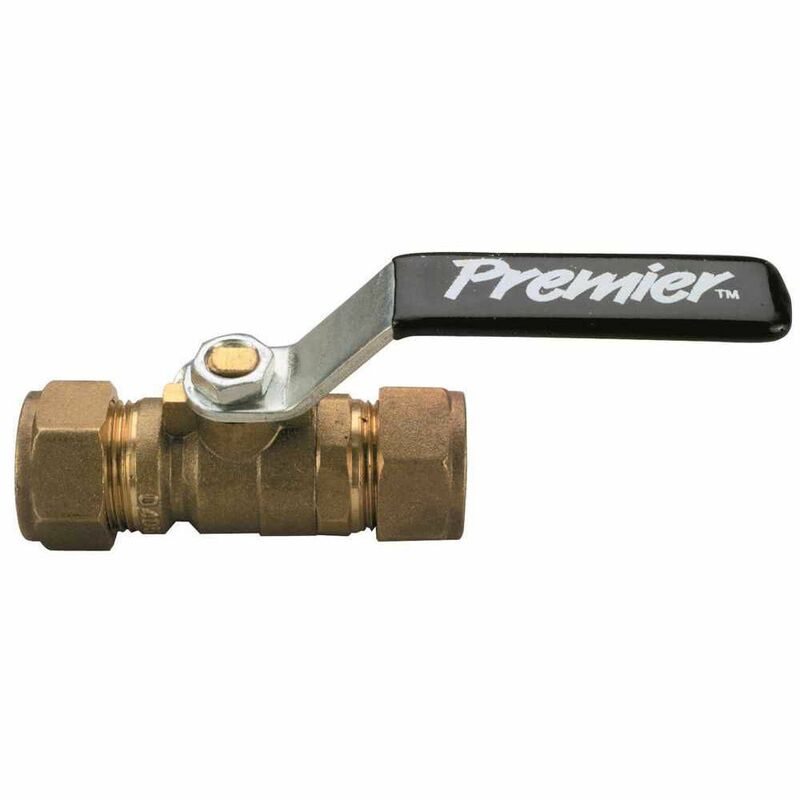 3/4" x 3/4" Compression Forged Brass Ball Valve c/w Drain . JAG Plumbing Products strives to bring customers the best products in Canada and make them available on the best online shopping platform: Homedepot.ca - Owned and Operated in Ajax, Ontario, Canada, JAG PLUMBING prides itself on offering Home Depot Customers durable, high quality, non OEM replacement plumbing parts.